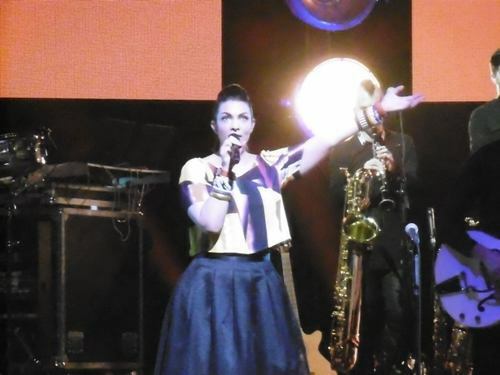 Caro Emerald's 2015 UK shows are part of the singer's The Absolutely Me Tour. It could easily have been called The Absolutely Fabulous Tour because that's just what the first of her two Birmingham shows was. You can't beat a concert beginning with a surprise and in this case it was Caro standing in the audience to sing her opening number, The Other Woman. As her band played on she moved to the stage to continue the gig more conventionally. 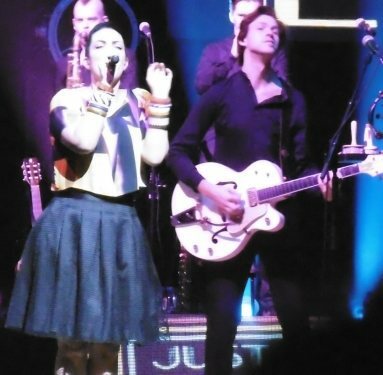 The Dutch songstress's last Birmingham show was in 2014 at the cavernous National Indoor Arena (now the Barclaycard Arena). 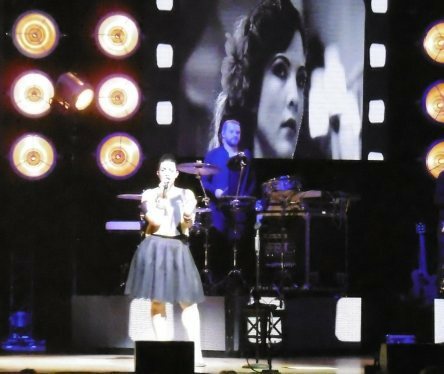 This time around her jazz-pop songs benefitted hugely from the improved acoustics offered by Symphony Hall and the more intimate nature of a smaller venue. The setlist differed slightly from her last visit, partly because of the inclusion of some new music, including latest single Quicksand which featured audience participation and a guitar riff that would not have sounded out of place in a Tarantino movie. The encore saw the unveiling of another new song, Helicopter Boy, with its calypso, reggae-lite rhythm. Then there was the genius of a cover version of Meghan Trainor's All About That Bass which, Caro claimed, could be interpreted in one of two ways. ''Tonight I'm choosing the instrument,'' she grinned. 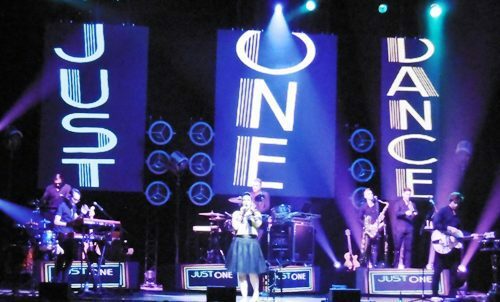 However, it was another cover that got the crowd roaring with approval – a rip-roaring version of History Repeating, originally recorded by Propellerheads and Shirley Bassey. Caro is a great singer and entertainer and she has cleverly surrounded herself with superb musicians in order to make her concerts something special. 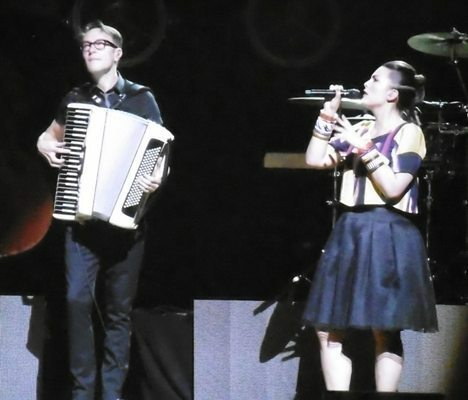 Her six-man band are each multi-instrumentalists who also sing and dance, especially during Dr Wanna Do when three of them performed a co-ordinated routine. So take a bow, keyboardist and musical director Stephen Large, guitarist Wieger Hoogendorp, trumpeter Ben Cummings, saxman David Temple, bassist Jeroen Vierdag and drummer Remon Hubert. While I'm giving out awards, a big hand for the lighting and effects team who brought the songs to life with some bright and imaginative film and animation on the screens at the back of the stage. I particularly liked the ocean liner during Pack Up The Louie, the Las Vegas-style neon for Liquid Lunch and the silhouette of a running figure during That Man. 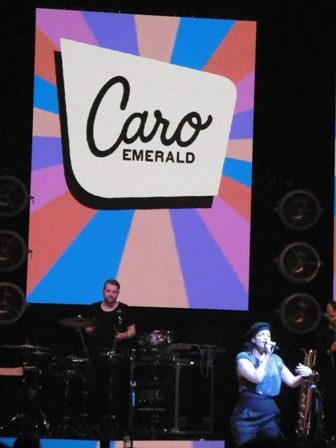 Did everyone leave smiling and humming their favourite Caro Emerald song? Absolutely! Dec 16: Eventim Apollo Hammersmith. London.